Hi all, i am. Recently being charged with criminal force against public servants.i have no intention on doing that, nobody got hurt. Let start with the story.. June last year i went out and drink heavily.. It was suppose to be a joyous occasion.. I went home.. Super drunk.. Koed on the floor. My brother saw this and call the ambulance. The rest i cant rmb clear.. But i push the paramedic and and the police. Non fall down or injured.i have no intention on pushing them. Its my first time involve with the law. Only with no news.. So went to court for 3 times. So last month went court again. 1 lady ask me. If i plead guilty to my case. I say yes. As i wanted to settle it swiftly. My lawyer didn prep me or anytjing. The "plead guilty was my own decision. As i dint know anythinh about law and their rules. So they issued a pgm date om 1 march. I keep chasing them on my news. No replies or they dont know.so i received news judt 1 day b4 my pgm date. It was a 4 weeks jail term.i aak my lawyer b4 my sentencing if i do get a fine instead of. Jail. He said no. He dont even want to fight anymore. I told him i have no intention of pusbing them at all. He was pusbing me to take the charged. Suddenly he say if u have no intention on pusing them. Do not plead guilty. On my point of view i pleaded guilty, becuase i rmb i did them. I was just being honest. And i cant even rmb much. The police statement i have on the point of tine and the Sof were given vy the dpp completely different. I admit the fact that i push them . I was expecting fine. But 4 weeks jail term. Is too much for me. I will lose my job. Plus nobody was injured or fall down. So my lawyer straight asked for a ptc. I am Considering changing lawyer to send reps and asking them do lower the sentencing. I dont want to cause both parties time too. But my lawyer hasent been guiding and adviseing me porperly. Now they sure will ask. For more money if it goes to trail. My question is do i still have a chance to get a warning or fine. Jail term is too harsh for me. I habe never done any offense b4. Im clueless in court. Does psychiatrist report helps to show them im not intentionally pushing them. And should i consider hiring new lawyer. 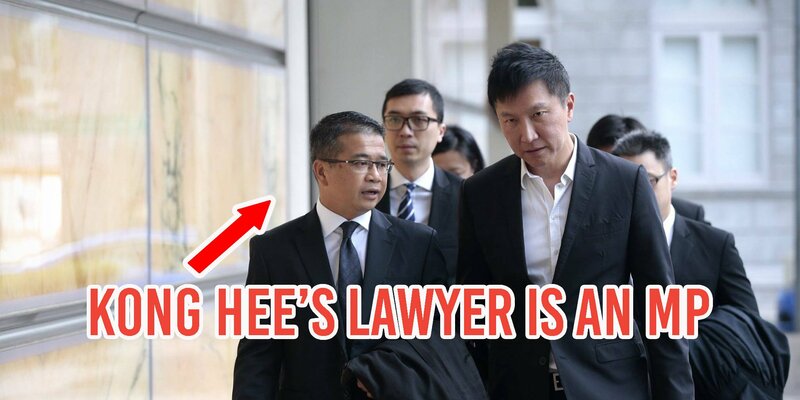 ...was that the lawyer you engaged at near chin swee road? use this lawyer...tia gong very good. Pushing the officer lo.thats all. No one injure or fall down. Whats hes name lol.look like the ah boys to man garang guy. #3 courts are their own little ecosystems where right and wrong are determined in a way that sometimes seems non-intuitive. the only people who are trained to navigate these waters are lawyers. oso if your new lawyer good, can argue that you were given poor guidance by 1st lawyer. the quality of the lawyer is everything. not whether you are right or wrong or purposely or accidentally. no guarantees though in any case though no matter how good the lawyer. Be sincere with the lawyer and follow his advice if he is sincere back. If not change lawyer until happy.